Congratulations go to Joseph Lubniewski (FEP username Lubner) and his 1982 Mustang GT T-top as the winner of the March Ride of the Month. Joseph purchased his 1982 GT in September of 2012 because he wanted an all original GT that he could enjoy and maintained as an unrestored car. He purchased this particular vehicle as it met all his requirements as an excellent survivor car that required no restoration or repair work. 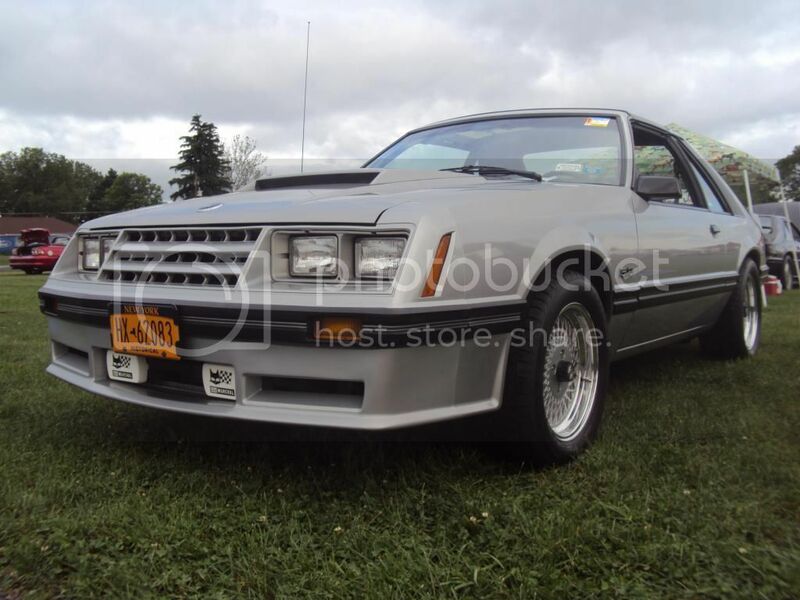 Joseph’s 1982 Mustang GT is a well optioned GT that wears the Silver exterior paint (code 1G) as well as the GT specific front bumper cover and lower air dam. The GT sports the original Marchal fog lamps in the lower air dam as well as the White Marchal covers which provide a great contrast to the Silver paint. The GT is equipped with the non-functional hood scoop that is standard with the 5.0 V8 engine in the GT trim, as well as the 3 piece rear spoiler. This GT also sports the optional T-top conversion installed by Cars & Concepts for Ford Motor Company. The Mustang originally rolled off the assembly line wearing TRX wheels & Michelin tires as part of the TRX suspension & handling package. Joseph still has the original TRX’s in storage and drives the GT on a sweet set of ARE Mesh wheels that keep the vintage 80’s vibe going. Inside the GT is a Black interior (code 1A) that includes the optional leather bucket seats. The GT features the center console with information center, rear defroster, and full carpet with the fold down rear seat. The GT also features the 4 speed manual transmission to handle all the ponies under the hood. There is no A/C or additional power equipment to weight down the Mustang. The engine bay is all stock with the 302 CID V8 that marked the “Return of the Boss” in Ford’s marketing for the Mustang in 1982. The 5.0 liter engine is rated at 157HP with a 2BBL carburetor that inhales through the original dual snorkel air cleaner assembly. The engine also features power steering to help carve the corners along with the TRX suspension and handling package. This Mustang GT has the unique privilege of being one of four Mustangs used as the Cover Cars for the Fox Body Recognition Guide as well as being used for photos inside. In 2014 the GT was awarded the Celebrity Choice Award at Carlisle by Mark Houlahan of Mustang Monthly. To say this excellent example of a 1982 Mustang GT is a Time Capsule is an understatement. The care and maintenance to keep this GT in such awesome condition for all these years is a testament to the passion that so many Fox owners have towards their cars. We thank Joseph Lubniewski very much for sharing his Mustang with us this month and hope he enjoys it for many years to come. Congrats Lubner, what a awesome 82Gt! Congrats Joe! I never get tired of seeing pictures of your car. Congrats Joe! Great car. I'm glad that I had the chance to see it in person. Congrats Joe car looks great , can't wait to see it in person. Congrats Joe! Let me know when you're ready to sell it me. Congrats joe awesome car, love the silver !!! Well done. And well deserved ,So many nice foxbodys on FEP How do you choose ! Congratulations Joe. Car is awesome. Well deserved. Congrats! You have one beautiful ride!